seriously, it is almost as big as my head. it is amazing. are you lost? are you confused? are you totally clueless as to what a hair doughnut is? don't worry, so was i. go here for some information on what they are. basically, they are these doughnut shaped squidgy things you stick through your pony tail and then wrap the hair around and kapoof (sound of the hair-fairy-god-mother swishing her wand) you've got one big fat bun (no, not bum, bun). still confused? check out this video. they are incredible. bad hair day? bring in the doughnut! fancy updo needed? bring in the doughnut! cool totally of the minute hair to spruce up any old look? again... bring in the doughnut! 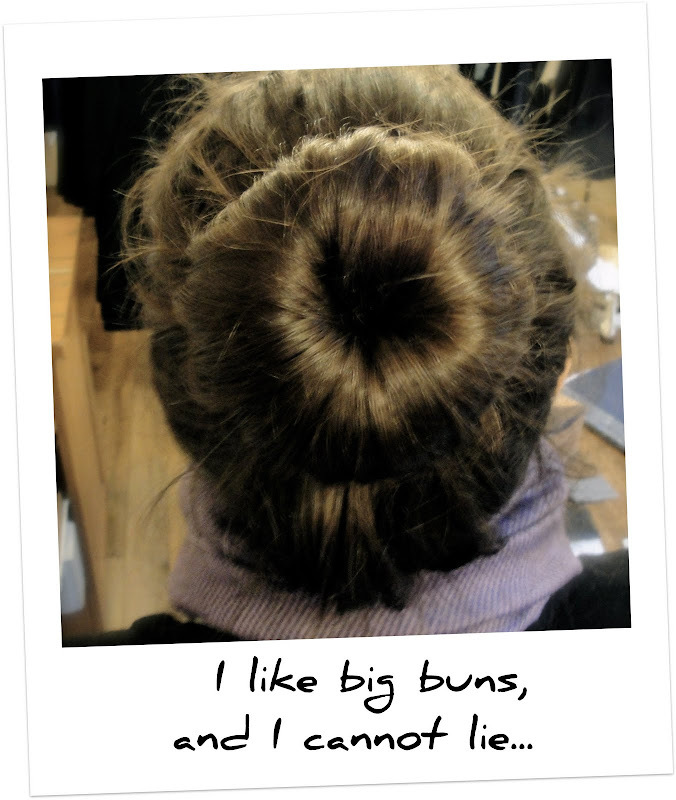 i am telling you, there is no need to be jealous of massive buns on other people... chances are, they are hiding a doughnut under their massive up do. and good news girls, you can too. 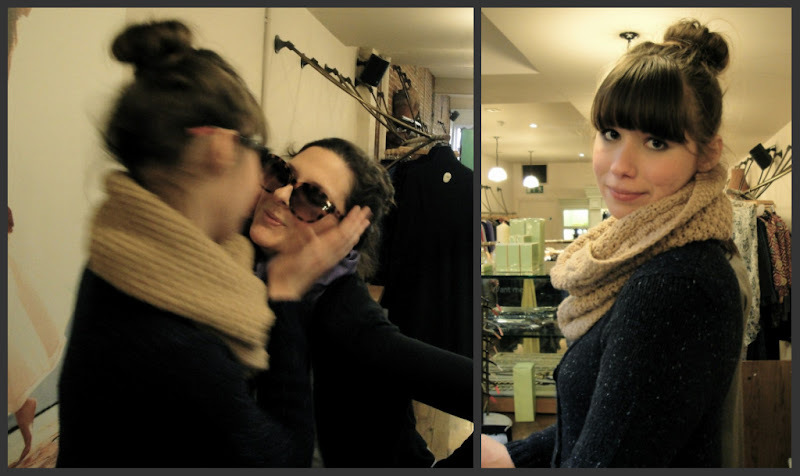 emerald, a fellow style crusader, going in for a kiss... then showing off her doughnut nicely. is this totally old news? 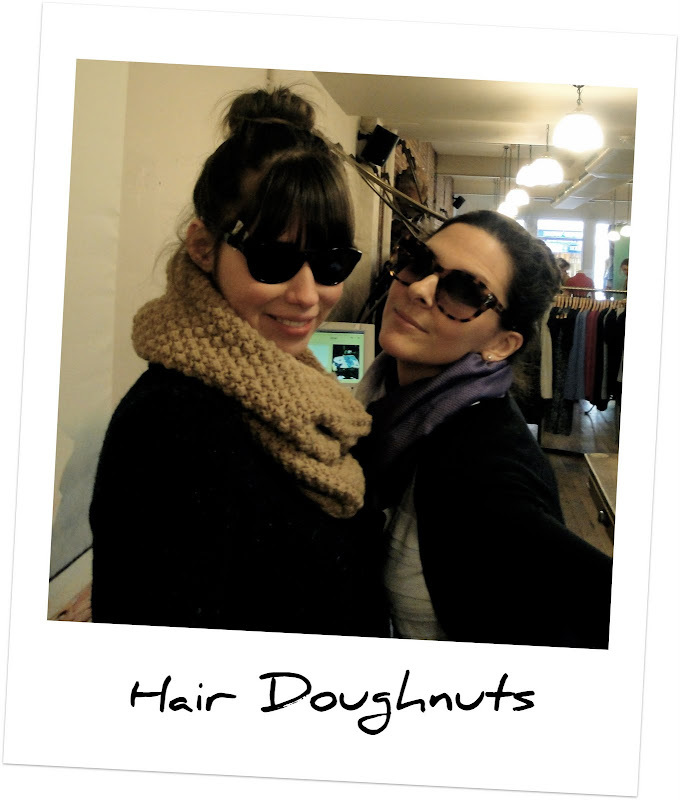 did you already know what a hair doughnut was? have you been rocking them for ages? if so, let me know... maybe i have just been kept in the hair doughnut dark for all this time. p.s. thank you to Jigsaw where i work on sundays for providing the beautiful backdrop to these photos. to tache or not to tache... that is the question.